Artscape Youngplace is teaming up with Arts Etobicoke once again to showcase the exceptional talents of some of the city’s young and emerging artists. 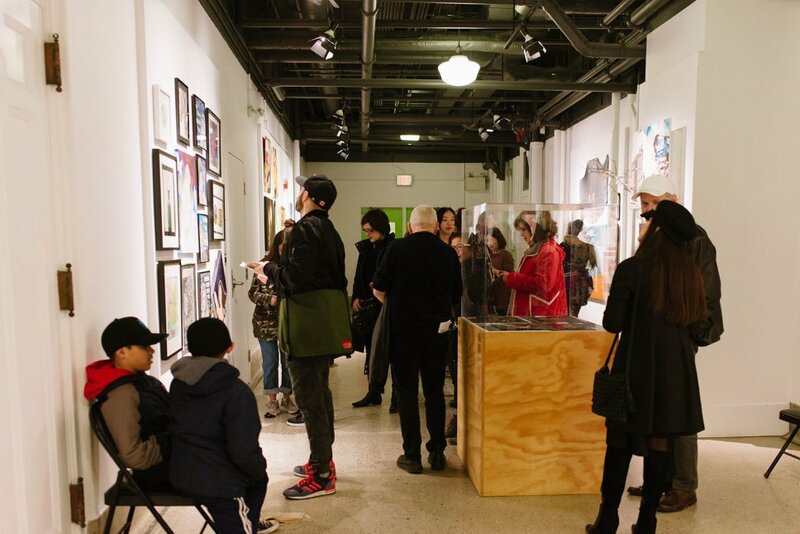 The EDGE: Youth Art Show, now in its 22nd year, will officially open to the public at Artscape Youngplace, 180 Shaw St., with a special opening reception on February 12 from 6-8 PM. “Entering the art world can be daunting for those just starting out, with little to no connections or family in the sector, and Arts Etobicoke believes in providing access to the arts for all who wish to explore their creativity,” says Carolynne Gibbons, communications coordinator at Arts Etobicoke. The free, non-juried exhibit features the outstanding photography, paintings, drawings and sculptures of youth artists from more than 20 high schools and agencies across the city. “It is both astonishing and moving to witness the talent and hard-work that goes into each piece,” Gibbons says. Some of the local schools participating in this year’s Youth Art Show include Etobicoke School of the Arts, North Albion Collegiate, Martin Grove Collegiate, Monsignor Fraser College, Weston Collegiate, Chaminade College School, St. Patrick and Runnymede Collegiate, among others. The EDGE: Youth Art Show will open at Artscape Youngplace, 180 Shaw St., Tuesday, February 12 from 6-8 PM and run until February 22. Attendance is free, and all are welcome. The 2019 opening reception will feature artists Moira Ness, MEDIAH, Djuna Day, and Donald Zhu, who will be attending the event as guest critics providing supportive commentary for students interested in constructive criticism on their work. Learn more about this free exhibit!